Adventures of an Introvert : Wild Swimming, my first experience. 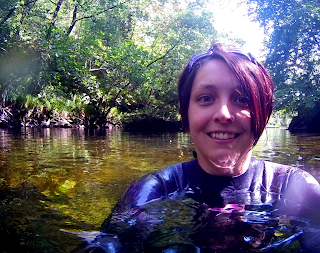 Wild Swimming, my first experience. Wild swimming, is as you can imagine, swimming but in the wild. It's been something I have wanted to try for the best part of a year. With some much needed inspiration from some of my closest friends and family members photo's and stories on Facebook, I have ended up dipping my toes in. I'm not the best swimmer, but the idea of swimming in the outdoors just has a great sound to it. However, I'm one of the kinds of people that doesn't like not knowing where the bottom of a pool of water is. The kind of person that if I swim to the deep end and try to touch the bottom and it's not there, has to swim back to where it is. So for my first outdoor swim I had to do a fair bit of research. I wanted somewhere that wouldn't have too many people, somewhere that was pretty still, and somewhere that was pretty clear. If I was going to do this, I needed to start with baby steps. After hours of research, I found the perfect place. The Pools of Luss. 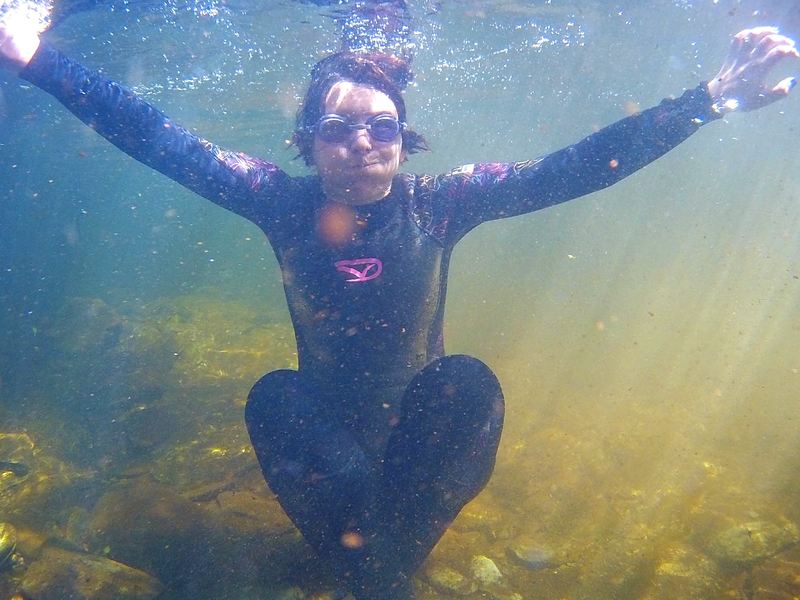 I knew Luss itself was a good place for beginners but in the summer weather I knew it would be pretty busy, so when I found out about the Pools of Luss I was drawn to it. This stream is located on the opposite side of the A82 from Luss, from the pictures it looked like it had quite a low water level. The fact it had been dry for a few days prior and wasn't forecasted to rain also worked in my favor for water levels. And just for safe measure I checked the SEPA website. My husband and I walked across a bridge and down to the stream. We were instantly taken aback by the beauty of this little place. There was no one in sight despite having passed a group of teens camping, and lots of people on the trail. We got into our wet-suits (because I'm no where near brave enough for swimming without a wet suit in Scottish water) and slowly waded into the water. The water was crisp, especially when it got the top of our legs. . . but we got in. After a few minutes it started feeling warm, and we decided to go for a proper swim. The water got deeper, (as you might expect) and all of a sudden I couldn't feel the bottom. I nervously grabbed hold of my other half. He was standing, so it wasn't that deep, but it was enough that I was just slightly too short. I took a deep breath and carried on. We then noticed something that looked like a torch in the water, just bobbing away. We didn't know what it was, so we swam closer. We thought it was a lamp shining on a fairy house that had been built up in the rocks there, but the closer we got we realised it was a can of cider someone had thrown into the water. So being the planet friendly people we are, we took that home with us. Another half an hour in the water was spent just playing around like in a swimming pool abroad. 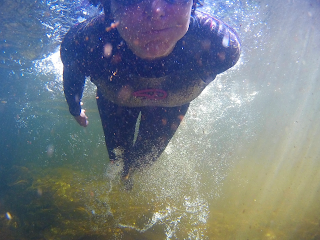 We done some underwater swimming, we played pranks on each other, and all around had a good time. I also got to use my action camera properly for the first time, and loved it! 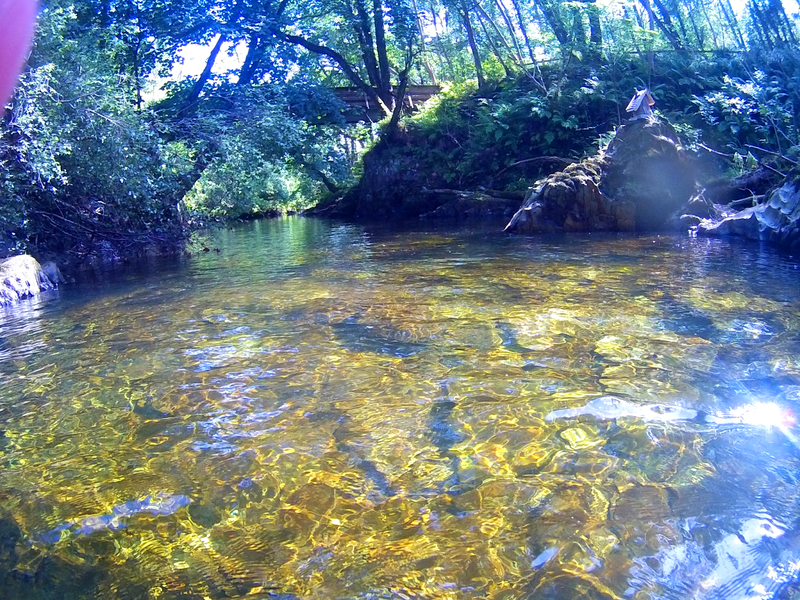 Our first time properly wild swimming was great. Relaxed and easygoing, the way I like it. It's certainly something I hope to keep doing no matter what the weather, (unless it's frozen over, then it's just a straight up no!) I have no desire to swim for miles in huge lochs, but rather, I'd love to just take it easy and see the wildlife. If you have any suggestions for wild swimming near glasgow, give me a messege either on Facebook or by email. Find out how on my "contact me" page.